Dr. Jeffrey I. Messer serves as department chair and faculty in exercise physiology for the Exercise Science Department, interim department chair for the World Languages Department, and President-Elect of the Faculty Senate at Mesa Community College, Mesa, Arizona. Dr. Messer holds a Ph.D. in exercise physiology from Arizona State University, Tempe, Arizona. His doctoral research program emphasized exercise biochemistry with a specific research focus in skeletal muscle mitochondrial bioenergetics. In addition, he has earned an M.S. degree in exercise science from Arizona State University, a Master of Business Administration (M.B.A.) degree from Duke University, Durham, North Carolina, and a B.A. degree in economics from Wesleyan University, Middletown, Connecticut. Dr. Messer has taught a variety of courses including Introduction to Exercise Physiology, Introduction to Evidence-Based Inquiry, Introduction to Research Methods in Health and Exercise Science, Sport Nutrition for Fitness Professionals, Strength & Conditioning, and Methods of Enhancing Physical Performance. His ongoing teaching pursuits have been complemented by the September 2010 opening of the Mesa Community College Human Performance Laboratory. Prior to the transition to the aforementioned department chair position, Dr. Messer served as director of the laboratory with a corresponding mandate to not only complement the foundational teaching / learning mission of the college but also engage in scholarly research focused on optimizing human performance. He has offered research presentations at the Annual Meeting of the Southwest Region of the American College of Sports Medicine (SWACSM), the Annual Meeting of the American College of Sports Medicine (ACSM), and the Annual Meeting of the Federation of American Societies for Experimental Biology (FASEB). Corresponding professional memberships include The American Physiological Society (APS), The American College of Sports Medicine (ACSM), the National Strength and Conditioning Association (NSCA), USA Track-&-Field (USATF), the National Federation of State High School Associations (NFHS), and the United States Track-&-Field and Cross-Country Coaches Association (USTFCCCA). Dr. Messer applies his passion for teaching and scholarly inquiry through his strong involvement in coaching both interscholastic endurance athletes and, periodically, pre-secondary and post-collegiate endurance athletes. From 2006 – 2012, Dr. Messer served as co-head coach for cross-country and assistant coach (distance) for track-&-field at Xavier College Preparatory, Phoenix, Arizona. The Xavier College Preparatory cross-country program earned six consecutive (2007 – 2012) Arizona high school girl’s state cross-country championships. During the three-year period from 2010 – 2012, the Xavier College Preparatory cross-country program concluded the associated cross-country seasons ranked 22nd, 8th, and 21st in the United States. During the 2012 Arizona high school track-&-field season, Xavier College Preparatory had twelve (12) student-athletes average 5:13 for the 1,600-meter distance. In February 2013, Dr. Messer began to serve as head coach for girl’s cross-country and assistant coach (girl’s distance) for track-&-field at Desert Vista High School, Phoenix, Arizona. The Desert Vista High School girl’s cross-country program earned the 2013, 2014, and 2016 Arizona high school girl’s state cross-country championship. In late-May 2014, the Desert Vista High School girl’s distance program was ranked by MileSplit US as one of only two girl’s high school track-&-field programs in the United States with “top ten” groups in each of the 800-m, 1,600-m, and 3,200-m events. In December 2014, the Desert Vista High School girl’s cross-country program finished fifth (5th) at the Nike National High School Cross-Country Championship and thus concluded the 2014 high school cross-country season as the fifth (5th) ranked high school cross-country team in the United States. More recently, the Desert Vista High School girl’s cross-country program finished sixth (6th) at the 2016 Nike National High School Cross-Country Championship. Subsequent to the 2016 high school cross-country season, Dr. Messer retired from his coaching endeavors in order to expand his community college leadership pursuits. Most recently, Dr. Messer returned and transitioned to the Desert Vista boy’s distance program as a volunteer assistant for the 2017 cross-country season. The Desert Vista High School boy’s cross-country program earned its first opportunity to compete at and ultimately finished eighth (8th) at the 2017 Nike National High School Cross-Country Championship. 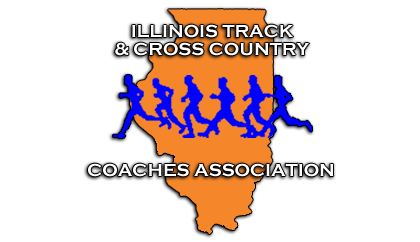 Dr. Messer has been recognized by the United States Track-&-Field and Cross-Country Coaches Association as the 2016 National Girls High School Cross-Country Coach-of-the-Year.